[292,591] prayers in  nations have been posted. prayers in  nations have been posted for Moses and family. Moses and his family lived in a temporary shelter after his family kicked them out. When Moses publicly professed his faith in Christ, he, his wife and their six children were kicked off the family property and expelled from their village. Read More. Anantram Gondi, a farmer in Odisha state, India, was murdered recently for refusing to return to Hinduism. He and his wife, Sukbati, had come to faith in Christ in 2018 and were active in their church. According to a VOM partner, villagers ostracized them and their five children as a result of their new faith, even cutting off utilities to their home. Read More. On the morning of March 19, mercenaries attacked the Christian village of Ungwar Barde, in Kaduna state, for the second time in less than two months. Read More. 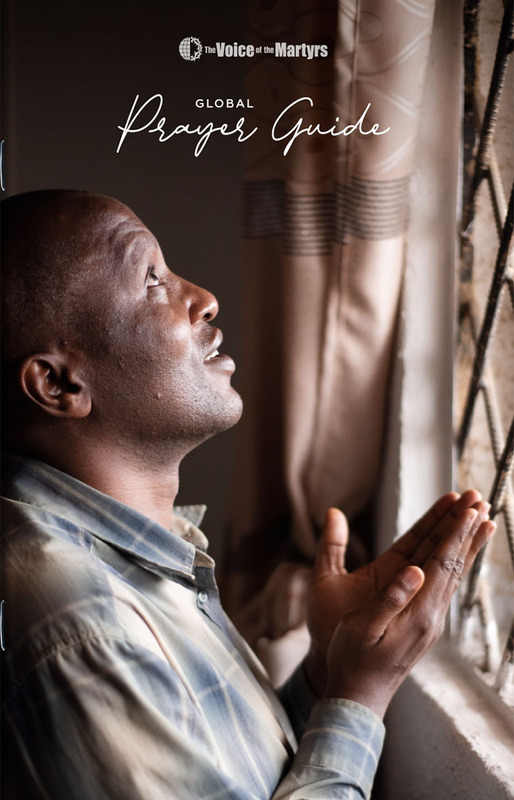 Request your free copy of VOM’s Global Prayer Guide to help you pray for persecuted Christians throughout the year. The Voice of the Martyrs (VOM) is a nonprofit, interdenominational missions organization that offers practical and spiritual help to persecuted Christians around the world. VOM was founded in 1967 by Pastor Richard Wurmbrand, who was imprisoned 14 years in Communist Romania for his faith in Christ. His wife, Sabina, was imprisoned for three years. In the 1960s, Richard, Sabina, and their son, Mihai, were ransomed out of Romania and came to the United States. Through their travels, the Wurmbrands spread the message of the atrocities that Christians face in restricted nations, while establishing a network of offices dedicated to assisting the persecuted church. The Voice of the Martyrs continues in this mission around the world today. 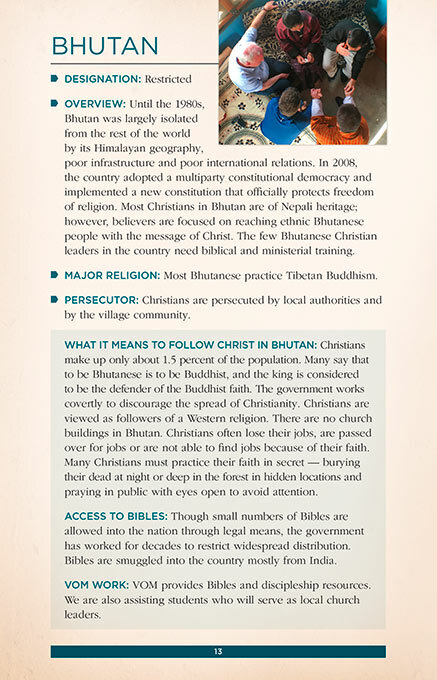 Fill out this form to get your FREE 2019 Global Prayer Guide and pray for persecuted Christians throughout the year.